The Epic fairways don’t have the same Jailbreak technology as the drivers but Callaway still reckon they’re still significantly better. An ultra-lightweight crown repositions weight to increase forgiveness. A new 4th generation cup face improves ball speeds and the heads shaping and speed step tech improve aerodynamics. Our Top Gear testing’s proven how effective Callaway’s “jailbreak” tech is at improving and protecting ball speeds on their Epic drivers. 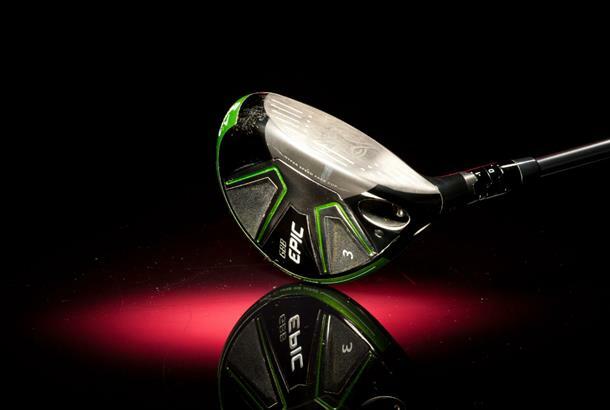 But don’t be fooled into thinking the Epic fairways boast of the same tech…they don’t. That doesn’t mean though they’re any slouch when it comes to power. Callaway’s crack team of R&D boffins are still figuring out if “jailbreak” works on a fairway wood, but until they have trust us the Epic fairways are already seriously good. A ball speed 2mph quicker and carry distance 10 yards further than our test average in any bodies book is seriously impressive, and right up there with the very best. The Epic’s head at 179cc is a bit bigger (20cc) than the Epic Sub Zero so we reckon it’s a much friendlier fit for lots of club golfers. If you’re comparing Epic to the M2 and wondering where the extra cost comes from, it’s all to do with Epic’s adjustable hosel which you don’t get on M2.